Members of a landowning tribe in Nadi have praised the Prime Minister and the 2013 Constitution for enabling access to land belonging to them after 44 years of struggle. 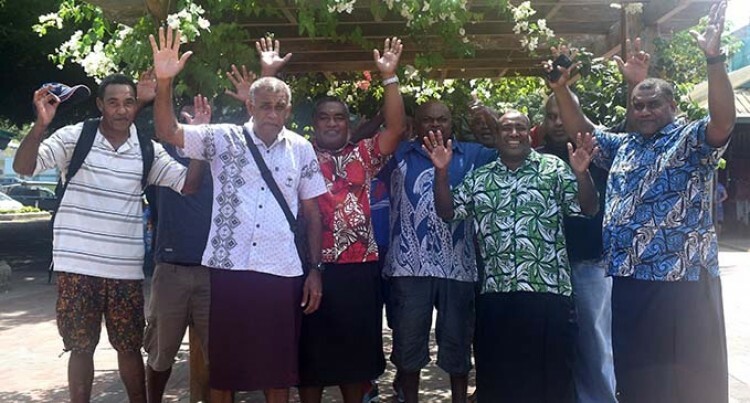 The head of Yavusa Vucunisai in Nadi, Rusiate Waqa, praised the FijiFirst Government for hearing their grievances. Mr Waqa said blamed the disestablished Great Council of Chiefs and the previous constitution that rejected and did not recognise their claims, even though documents from the iTaukei Land Commission confirmed that the land or Yavutu Maqalevu belonged to them. “In 2004 Niko Nawaikula, the then iTaukei Land Trust Board lawyer, told us that the 1997 Constitution did not entertain our grievances, but it did not stop us from trying to access our ancestral land Yavutu, which was under the Director of Lands,” he said. “We were rejected by previous government, but not rejected by God who created the formation of this FijiFirst government that brings the idea of the new Fiji … that is security, stability, inclusiveness and no one is left behind. “The 2013 Constitution rescued us to where we are today. As the process of the reversion of Yavutu Maqalevu is concerned, that is the approval from TLTB Board chaired by the Prime Minister and under the Solicitor-General’s Office for vetting. “The members of Vucunisai all over Fiji and abroad were happy that their identities are now recognised through the 2013 Constitution and the lost tribe of Nadi will be relocated to where they were originally from. “We met the Prime Minister at RFMF in Nadi during one of his visits to the West and we gave our letter of grievance and he told us to go to Suva with all the documents. Mr Waqa said that he did all that the Prime Minister advised him to do and that’s where everything started from 2016 until today. “Most of us iTaukei are not reading the 2013 Constitution, but are swayed by lies of other people who don’t even put food on our table,” he said. Mr Waqa said they are happy and thanked the Prime Minister and the Attorney-General for not rejecting their grievances for 32 years of struggles to access their land.